Happy Clients who have purchased property on Ambergris Caye tell why those choose to purchase in Belize and why the recommend working with Dennis Kay of RE/MAX. You too can buy property in Belize! Real Testimonials from Real Buyers! We came to Belize for a quick 7 day vacation. We had been reading a lot and watching television shows about this new spot in Central America. We fell in love with the small island of Ambergris Caye! We enjoyed the many different people, calm azure waters, warm tropical breezes and excellent cost of living prices. The cherry on top was English is the language of this beautiful country! We decided to purchase a piece of this small paradise in the form of land. Other than just the “beauty”, when looking to purchase abroad we focused in countries we felt had low political risk, where the people spoke English and there was a lot of investment potential. Ambergris Caye had the entire “package”. One visit and we knew it was the place for us. The people are wonderful and the island is beautiful. Why did they buy? To use as a vacation home now, but hopefully a place we will spend part of the year in the future. Did they like dealing with RE/MAX? Honestly, I cannot think of one thing that Dennis could improve on. If he did not have the answer on a question, he would go to someone else with the knowledge and then advise. I also liked that he showed us a range of properties (something I would not have requested) so that we could see the value of the dollar and workmanship on a variety of properties and a variety of asking prices. It helped us to be comfortable in our decision and knowing we made the right decision (no regrets or second guessing). “We would ONLY recommend Dennis to our friends and family!”. Tom and Karen - Kansas, USA "Proud Owners of Grand Caribe Unit C5"
Working with Dennis was a pleasure. His enthusiasm and dedication were truly refreshing, and we always felt that we were his priority. Going out of his way to insure that our special requests were met allowed us to have a really unique experience finding property in San Pedro, Belize. His understanding of us as clients allowed us to breeze through the purchase process and end up with great results. Since we closed, he has continued to extend himself in every way to make for an easy transition and has been really helpful with details that other agents might very well ignore. I'd recommend him to anyone looking for a great experience in the San Pedro real estate market. In addition, the rest of the great team at ReMax Isla Bonita have been wonderful! Thanks to you all. We chose Belize for the complete paradise it is. From the palm trees to the beautiful waters and the friendly people its a place you can truly get away from it all. Belize is a country we knew we would want to visit time and time again. 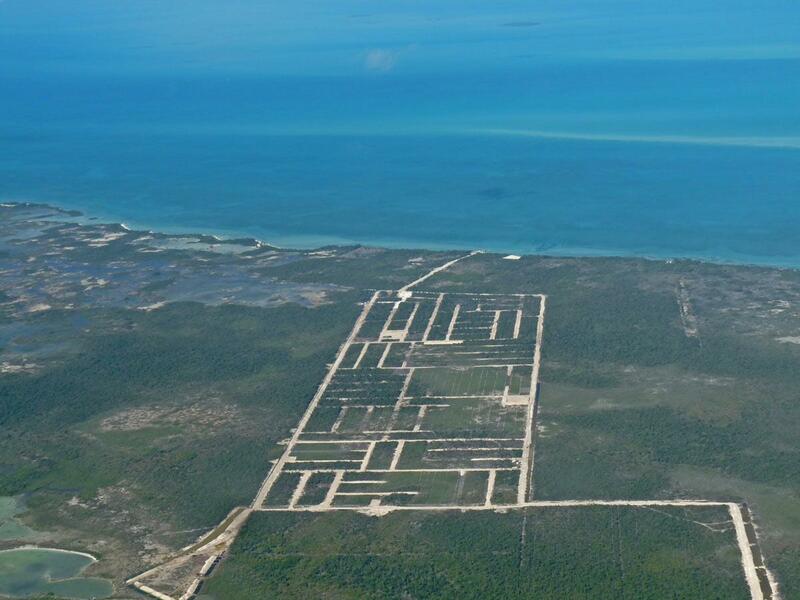 Owning in Belize and having property rights similar to the US was important to us as well. We are not the type of people to gamble with our money but when we saw Grand Belizean Estates online we decided we should look into it further. We contacted Dennis and he answered every question we could think of through many emails. Dennis made the process very smooth and we actually bougth site unseen even though we were planning a trip there. We planned our trip to visit the island and Dennis arranged for a boat to take us to the property as the road was not in place yet. Dennis escorted us to the property and showed us our lot and where the roads were to be placed. He was very accomodating and answered our numerous questions about island living. Although we are still years away from retirement we plan to travel there as much as possible until we retire there. Once you visit the island you won’t want to leave! 1. Why did you choose Belize? Like most North Americans I have always dreamed of owning a piece of property in the Caribbean. With the endless amount of Islands the choices can become overwhelming & expensive! After vigorous research Belize was the obvious choice, The pros are unquestionable with English being the official language, Exclusive property rights for foreigners, low taxes, favorable retiree & resident programs and the fact it is truly a slice of paradise yet to be monopolized by corporate franchises with a large amount of room for growth it was no question that this was the place. 2. What property did you purchase and why? I chose to purchase 2 lots in Grand Belizean estates for many reasons, First off the prices are phenomenal for what they are offering, they is no other way for the value to go but up! The parcels that I purchased would cost 10times what I paid for the same size of land in Canada. The location on the West side of Ambergris Caye is calm, peaceful and serene still untouched by the commercial hand. There are minimal building restrictions and the property tax is the lowest I have ever seen! The titles are free and clear and I can choose to do what I want with the property, build, sell or sit on it for as long as I like. The options are truly unbeatable! 3. How do you plan to use your property? I will be building a family home on one lot in which I will live full time with my wife and future family and the other I have plans for a business. There is a lot of potential with the amount of properties being sold within the sub-division and essential services will be needed. 4. How was your buying experience through Dennis? To be completely honest I purchased my first lot entirely through the internet without ever stepping foot in Belize. From the first moment I came in contact with Dennis his genuine concern for finding me the ideal lot for what I needed was exceptional. As you can imagine a purchase from aboard can be quite a daunting experience as you never know what to expect and the final choice can be difficult. He quickly put me at ease and exceeded my expectations with his thorough, honest and personal opinions of all lots I was interested in. At no point did I ever feel pressed into the sale and I felt truly confident in my final purchase given the level of professionalism Dennis displayed at all points throughout the process. A genuine & honest person. It was a positive experience from start to finish. 5. Would you recommend RE/MAX and Dennis to your family and friends? I have! Shortly after I started to investigate Grand Belizean estates I knew it was a winner, I recommended it a dear friend and I am proud to say he is now my neighbor. I travelled to Belize this summer to finally view my purchase with my fiancée. Not only did we step foot on our property I proposed to my fiancée upon the Grand Belizean tower before viewing our property for the first time. I am now happily married and we are looking towards our bright future in Belize thanks to Dennis and the Grand Belizean team…..In fact my Wife and I just bought one more! Another Happy Canadian - This Guy Really Believes in Belize! 1. Why did you choose Belize?I had heard how beautiful Belize was from many people and finally made my first trip there and fell in love with it! After looking around and checking out market prices I believed it was a great time to invest in property there! 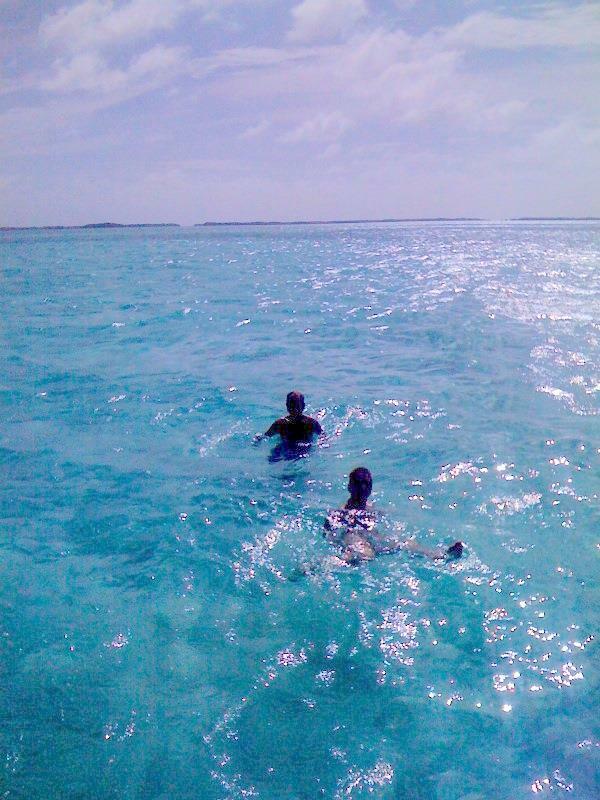 Beautiful weather all year around/great beaches/good snorkeling/diving/fishing and reef! People are lovely in Belize! Mode of transportation on the Island of San Pedro is a golf cart and I love that!! Quaint Place!!! 2. What property did you purchase and why? 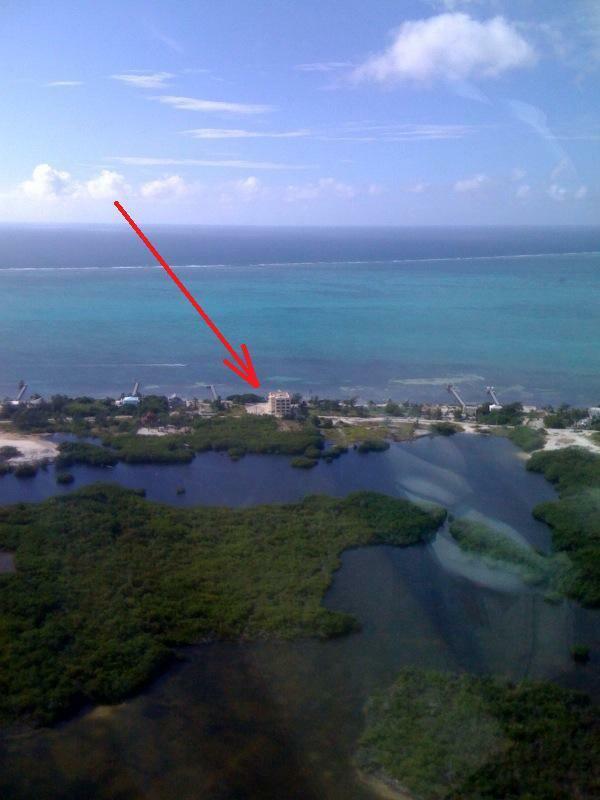 We purchased a Penthouse and Ambergris Caye just across the lagoon from town of San Pedro Last year and then this year I bought 110 lots 3.5 Kilometers from the town of San Pedro. I believe Belize Real Estate is going to increase drastically in the next few years!! 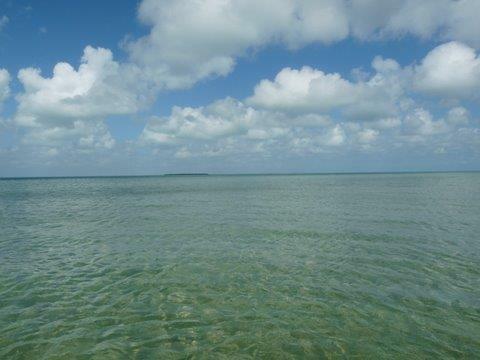 When people finally visit Belize they will know that they have found paradise! 3. How do you plan to use your property?Spend time there in the winter months and also make it a rental income property in my absence. 110 lots I will sit on until price goes up and then make a profit ! I am even considering building a few rental income properties to rent out. They do not make any more land like this in Paradise so now is the time to buy before it all gets bought up !! 4. How was your buying experience with John Turley and Dennis Kay? I have known and been dealing with John and Dennis now for 2 years !!! I have nothing but praise to say about them! John handled most of my transactions and worked harder for me after the sale than trying to just grab the commission and run!!! He followed through and assisted me 150 % !! His recommendation was excellent and John and Dennis are tied to good honest developers!! They do what the say and say what they mean!! 100 % honest! 5. Would you recommend Belize to your family and friends?Absolutely and do that every day !! I even tell everyone that do not know about it !! It is Heaven on earth!! 6. Would you recommend working through John Turley and/or Dennis Kay to your family and friends? In a New York Minute!! As a matter of fact you can call me anytime and I will explain to you how I was treated by John and Dennis: My Mobile Number is: 780-906-4034. Just ask for Ged. We chose Belize and specifically Ambergris Caye, for the following reasons. 1) It is English speaking 2) It is a tropical island 3) Land prices were very reasonable 4) Air travel time is just 6 1/2 hours away from our home tonw in Canda. Subsequently we learned that the people are very friendly and the food really tasty. Also that crime is not a concern as most, if any, are of a petty nature. 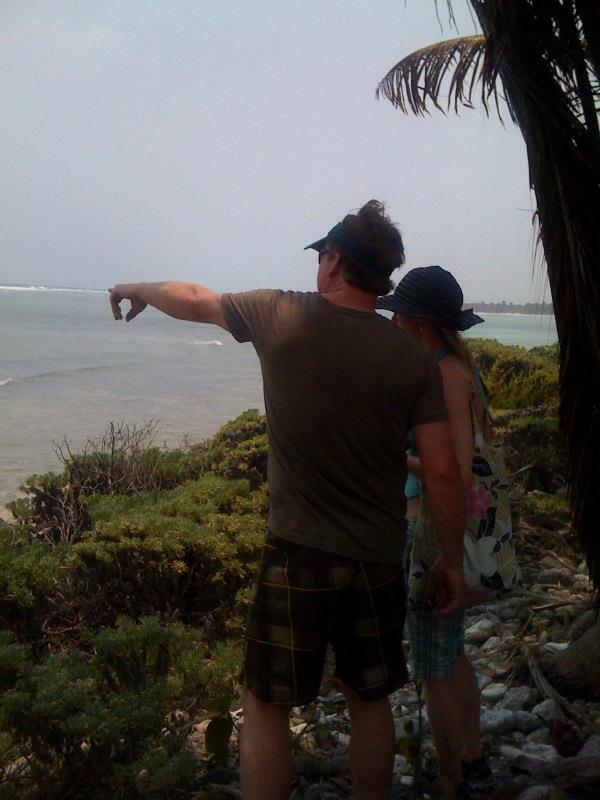 Initially we purchased lots at Belizean Estates. The lots were really well priced as the project were in the early stages of development. The purchases were both for personal and investment reasons. We also purchased a 3 bedroom ocean front condo overlooking Hol Chan Marine Reserve. Our experience with John and Dennis was absolutely top shelf. Both John and Dennis are "straight shooters" and work well as a team. Very friendly and accommodating. We would recommend them a heart beat. As a matter of fact, since our first contact with them, our family and friends have purchased property from them. Since we heard about Belize, our dream was to purchase a peace of property there.From the very first contact we made with Dennis and John they were extremely knowledgeable and prompt with their response and help. We never been there be for, but having Dennis and John on our side it was a very easy process, (done by e-mail and fax). 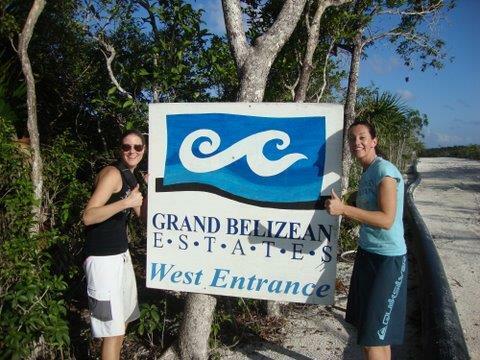 We bought two lots in the Grand Belizean Estate. After the purchase, we went to see the properties, again Dennis and John arranged a boot and a knowledgeable guy who knew everything about the subdivision to give us a tour. We were positively surprised that we recommended those Agents to our friends, which two of them did buy properties too ( Ilidio DaSilva and Jose Luis Lopes). 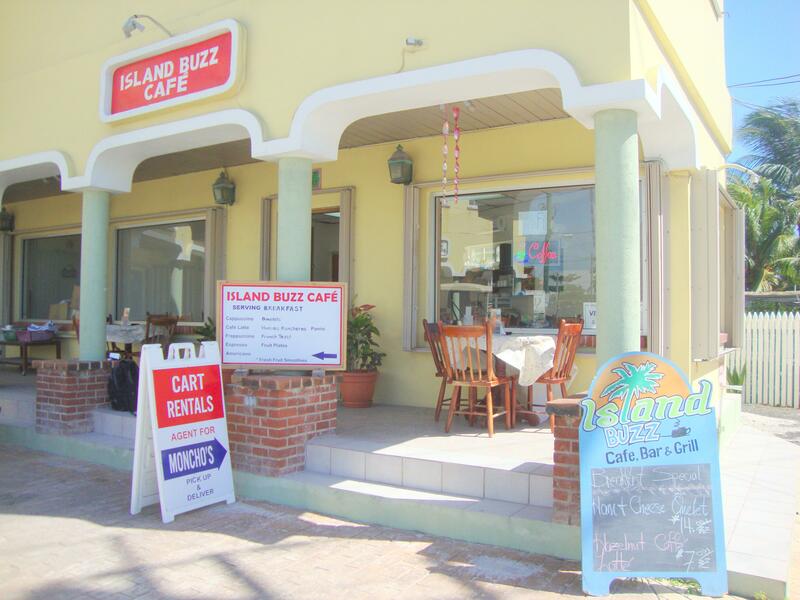 We fall so much in love with Belize, that we ended up openig a Pool Bar and a Cafe, Bar and Grill place. We are planning to built a house on one of the lots, so we can stay longer over the winter. 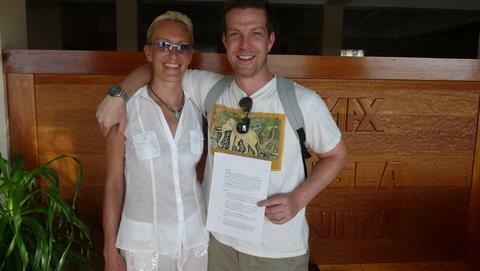 Michael and Jodi are currently living in Edmonton, Canada but wanted to purchase a place in the sun. They had specific wants and tastes and ended up getting a great deal on a 3 bedroom penthouse at Hol Chan Reef Resort. Can you tell us why you choose Ambergris Caye, what you purchased and what you feel the opportunities are here? We choose Belize as it was a stable, Commonwealth Country that is based on British Law. You receive clear title on property there and it is less crowded than in Mexico,and way less risk of getting shot in drug wars. We purchased a fourth floor penthouse at Hol Chan Reef Resort. We bought this one because of the size [3 bedrooms] and because it was built to a very high standard. We intend to use it ourselves for about 4 weeks a year and we thought it was a very good investment. We can rent it out when we are not there and we are sure it will appreciate quickly, especially once direct flights start from UK and Canada. We found our experience dealing with John and Dennis to be very good. They were both very helpfull before and after the sale. They were always there to deal with any issues regardless of how small. Also, the RE/MAX banner gave us a degree of comfort due to their world wide name. I introduced our family and friends to John and Dennis, and in fact my sister in law who I sent to them is considering buying a condo in the same building as us. I think there are many opportunities on Ambergris Caye as its not over commercialized. From my observation it's just a question of what to get involved in. My wife and I and my business partner will be pursuing opportunities to open different business's on the island and maybe move down in the next couple of years. Thanks again guys for all your past and ongoing help. We chose Belize because its an English speaking country,tropical climate, close to the U.S. and the people on the island are all friendly. I asked everyone while I was there on my first visit if they would move back home everyone said "no they love it there!" We purchased 2 beachfront lots on the west side of the island to build a future retirement home The waters on that part of the island are crystal clear and the sunsets amazing. Ed and Dawn - West Branch, Michigan, U.S.A.